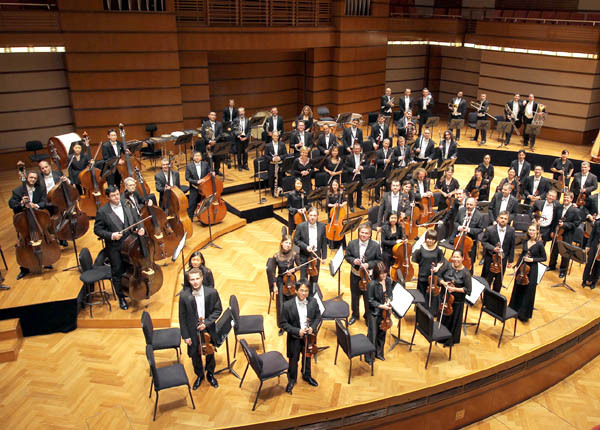 HA NOI (VNS)— Musical pieces composed by artists from Viet Nam and across the globe will be performed live by the HCM Ballet Symphony Orchestra and Opera (HBSO) on March 29. The concert, which is part of the Young Melody programme launched by the HBSO in 2011, offers the youth a deeper understanding of orchestral music. The audience will also be able to enjoy classic compositions by Johann Strauss II, Franz von Suppe, Mozart, Vivaldi, and Bizet. Modern pieces from movies, such as Titanic and Pirates of the Caribbean, and Vietnamese piece Tro Ve Dat Me (Return to Motherland) by Nguyen Van Thuong, will also be played by the orchestra. The pieces will feature roles of different instruments in the orchestra, including the strings, percussion, and wind instruments. A summarisation of the evolution of orchestral music in Viet Nam as well as introduction of the orchestra will be presented by conductor Tran Vuong Thach.